Dec 20 Update – Target achieved. 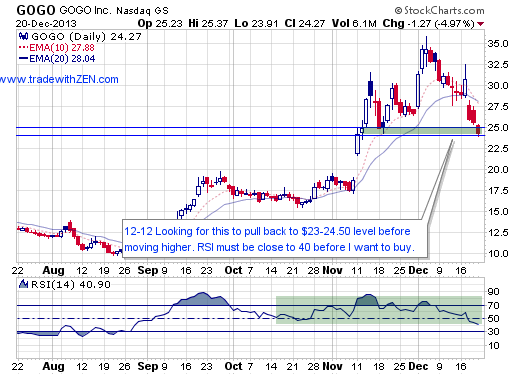 Looks like a strong buy near these support levels and position of RSI. Patience can pay off with momentum stocks and while I don’t know if it’s going to bounce I’d say odds favor this bouncing real soon. 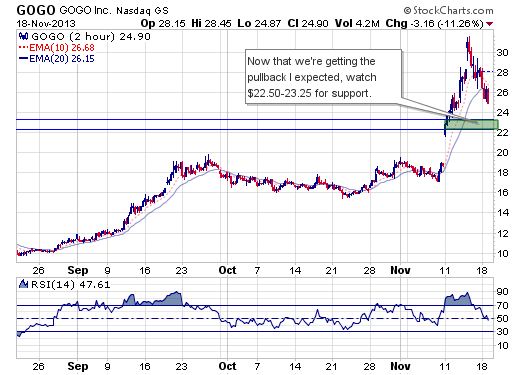 Dec 12 Update – It never reached our previous buy target so I’m adjusting it. 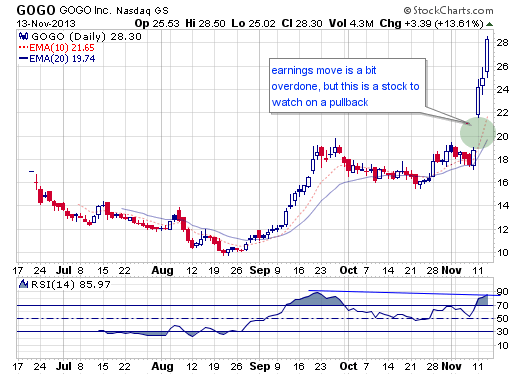 Nov 13th – GOGO has been one of those stocks that when I look at the chart it’s not quite a stock that I want to buy anytime soon, but it’s one that the strength is undeniable and when it has a decent pullback and goes off of all the momentum player’s radar I want to buy into. When will that be? It depends if it has a traditional pullback or a sideways pullback, but either way this needs to pull back in price or have some time pass before I’ll be interested. 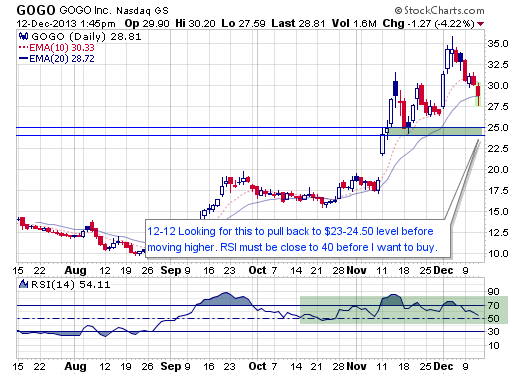 The good news is now that this is a featured stock on the “Look at this Stock” so I’ll be keeping tabs on it and updating you when I think it’s a buy. Recent IPO has a significant case of negative divergence.